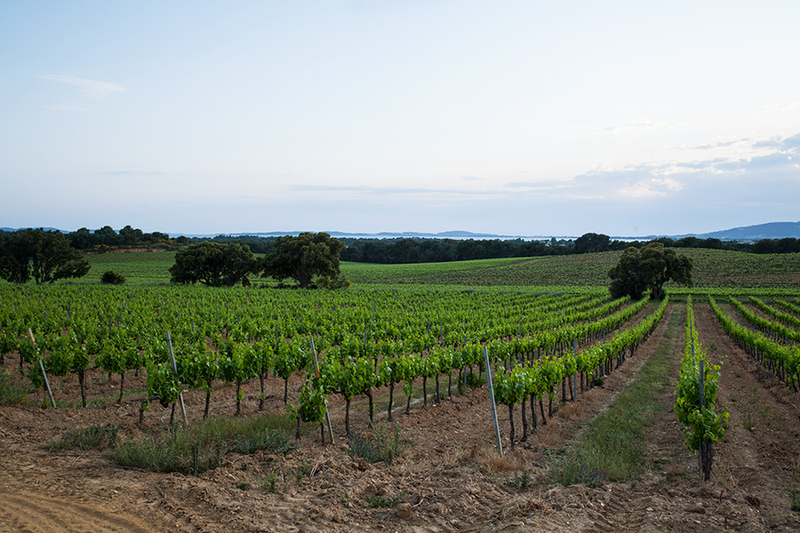 Inside the very large Côtes de Provence appellation, a small territory around the seaside town of La Londe has been recognized as a specific terroir, especially for rosé wine, with its own appellation, with severe production’s conditions. The heart of this cuvee comes from Grenache free-run juice going through skin maceration. Cinsault and Rolle – or Vermentino – bring freshness and finesse to the blend. The harvest is mainly processed during nigh time, in order to preserve the aromatic potential and to minimise the use of sulphur. The juice goes through cold settling for 48 hours in average, then fermentation and aging take place at regulated temperature in concrete tanks. The wine is aged on fine lees until February at least, developing its richness and structure. The robe is pale pink with salmon-pink reflection. The nose is explosive, with notes of citrus and pineapple. It is very complex, with white flowers, peach and grapevine aromas. The mouth starts with delicacy and freshness, with citrus and herbs flavours. Then it shows peach flavour, with a supple and fleshy body. It is silky, suave and a bit salty in the finish. This rosé is perfect for aperitif as with food, served between 10 to 12 degrees Celsius. We recommend marinated fishes as ceviche, shellfish, spring rolls or fresh goat cheeses to pair with.